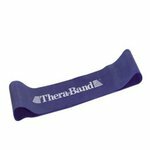 Biofreeze, a unique, effective analgesic, can support many of your patients' daily needs as well as contribute to treatment plan success. Containing ILEX, an herbal extract from South American Holly Shrub, Biofreeze is formulated to provide a variety of benefits for therapy, pain relief, exercise/training, and overall comfort. These blue vinyl ColPac's ensure effective cold therapy regardless of body area or shape. Corganics Relief, a new topical pain management cream, provides temporary relief of minor as well as deep muscular and joint aches and pains which are associated with simple backaches, arthritis, strains, bruises and sprains. Relief provides fast, effective snd targeted relief with long-lasting results, and is quickly becoming a favorite choice of topical analgesics available over-the-counter. Reliefe is a balanced, proprietary formulation containing MSM (Methylsulfonylmethane), L-Arginine and a complimentary blend of high quality, active natural ingredients and nutrients that provide penetrating relief. 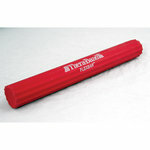 You'll appreciatethe non-greasy, non-sticky formula designed for quick absorption. Relief's synergistic combination of natural essential oils and antioxidants nourish and rejuvenate the skin while providing soothing Relief. Two key ingredients, MSM and L-Arginine, are believed to help enhance and highten therapeutic results. 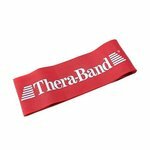 The Thera-Band FlexBar Red is a light weight and portable exerciser used for grip and upper extremity strengthening oscillation for neuromusclar re-education and balance training, and soft tissue and joint mobilization. 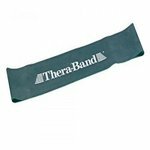 The Thera-Band FlexBar Green is a light weight and portable exerciser used for grip and upper extremity strengthening oscillation for neuromusclar re-education and balance training, and soft tissue and joint mobilization. 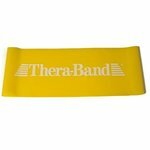 The Thera-Band FlexBar Blue is a light weight and portable exerciser used for grip and upper extremity strengthening oscillation for neuromusclar re-education and balance training, and soft tissue and joint mobilization. 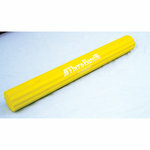 The Thera-Band FlexBar is a light weight and portable exerciser used for grip and upper extremity strengthening oscillation for neuromusclar re-education and balance training, and soft tissue and joint mobilization. Three color-coded levels of resistance.